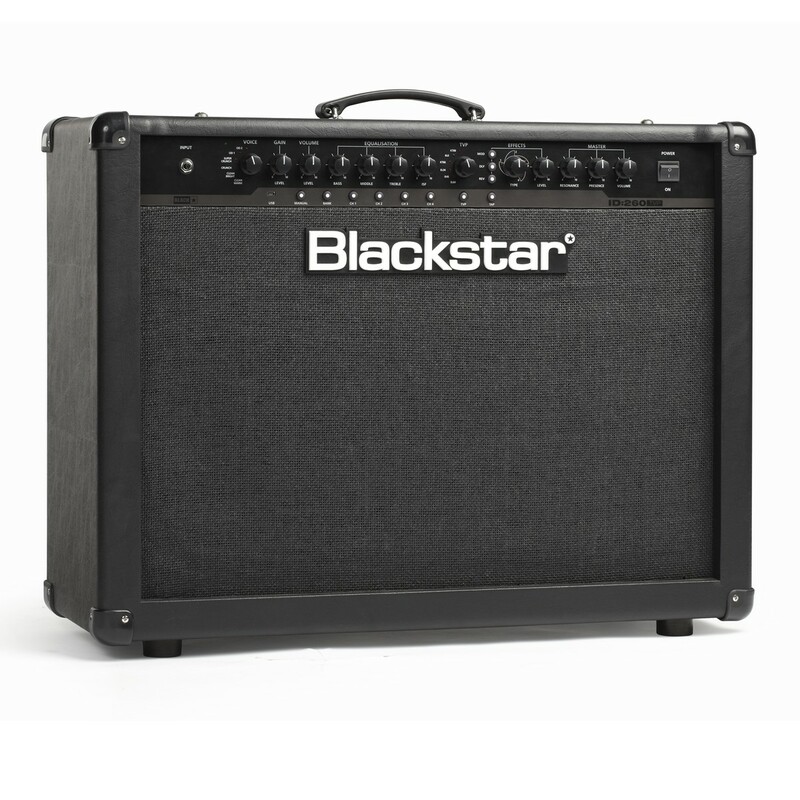 The Blackstar ID:260TVP Combo is part of Blackstar's ID:Series of well designed, highly innovative and versatile amps. 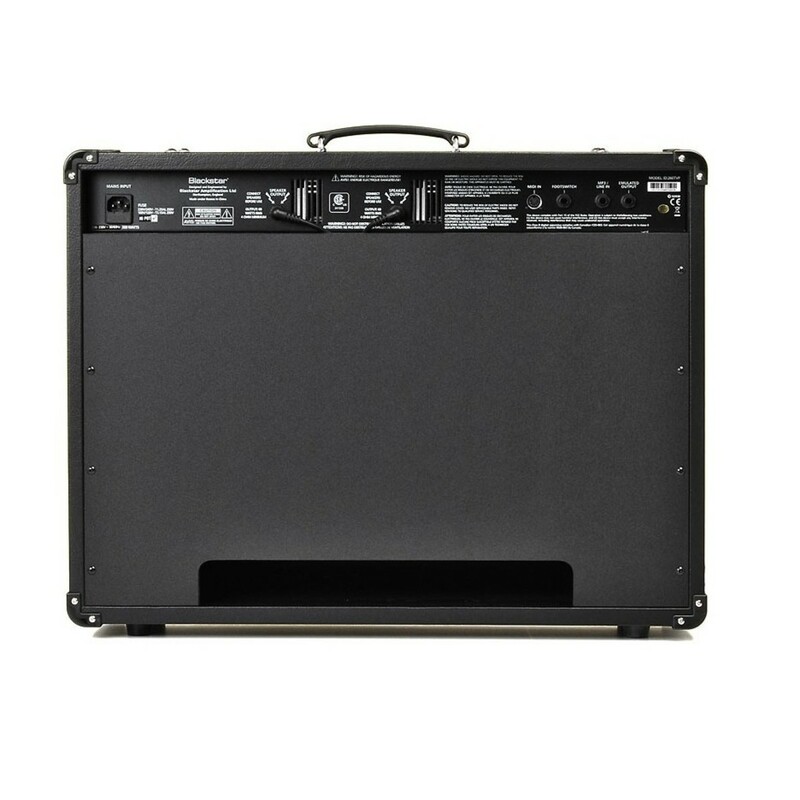 It is a programmable guitar combo amp that is equipped with 2 x 12" speakers which each offer 60W power to deliver a broad immersive sound and really packs a punch live. The ID:260TVP features Blackstar's patent-applied-for True Valve Power (TVP) feature, that allows players to select a variety of 6 different valve responses, ranging from ringing, full-bodied Class A to tight and bold Class A/B. The ID:260TVP's EQ section is equipped with Blackstar's patented ISF control that works with the Bass and Treble controls to give the player access to infinite new sound possibilities. Other effects on-board the ID:260TVP include an array of Modulations, Delays and Reverbs; and for added convenience there is also a built in tuner. 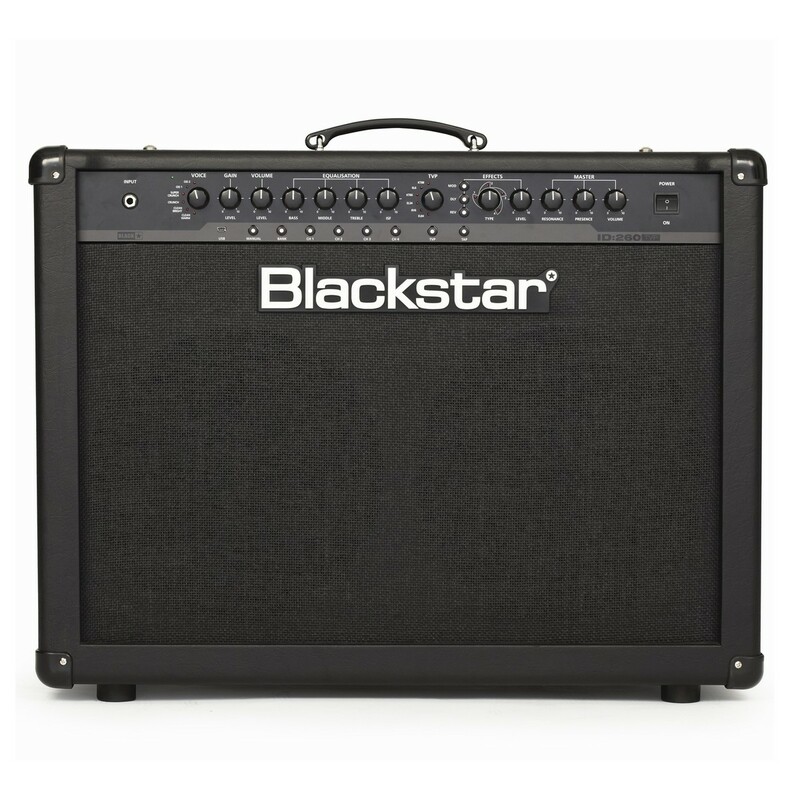 The Blackstar ID:260TVP Combo features patent-applied-for True Valve Power (TVP) that offers six different power valve responses which consist of EL84, 6V6, EL34, KT66, 6L6, KT88. KT88 has a crisp, bold Class A/B with a strong and beefy low end. Blackstar's ID:260TVP amp comes equipped with 6 voice channels for altering and creating your ideal sound. These include clean warm, clean bright, crunch, super crunch, overdrive 1, and overdrive 2. Between the different voice channels, the ID:260TVP can pull off a variety of different styles and genres, from blues and jazz to heavy metal. The ID:260TVP Combo features a versatile effects section that delivers studio quality modulations, delays and reverbs. The 12 vintage effects include 4 Modulations, 4 Delays and 4 Reverbs; allowing artists to fully sculpt their sound with ease. The ID:260TVP Combo is equipped with a USB input for connecting the amp with your computer or Mac. Once connected the insider software allows for deep editing of your patches, storing the ones you've created, and importing patches you have downloaded from the online community. With the wide array of patches, you can easily pick the sound you require; making it ideal for touring musicians. The ID:Series feature innovative and versatile design features, which were researched and developed for over 7 years before their launch. The ID:Series allow players to sculpt their sound with ease, and store many different patches using Blackstar's Insider software. With versatile Voice Control, Blackstar's Patented ISF, True Valve Power and the option for deep editing.